Waiting in line at a local coffee shop in Aggieville, a barista can be heard asking each caffeine deprived soul whether their order is “for here or to go?”. It’s a necessary question for a person that is responsible for packaging a hot drink in an appropriate cup. Baristas know well that containers matter. In many ways, the 2015-2016 academic year for the Communication Studies Department (COMM) was an exercise in imagining, building, and nurturing the containers that allow a vibrant learning community to grow. Namely, we increased our faculty ranks to 14 full-time members, added a record number of new majors, and moved the entire department to the second and third floor of Nichols Hall. Had you been watching us from the rafters of the Nichols Hall Atrium, you likely would have seen our three new faculty, Soumia Bardhan, Natalie Pennington, and Tim Shaffer diving head first into teaching new courses, securing extramural grant funding, and publishing research in the areas of intercultural communication, communication technology, and public deliberation. You would have also noticed more undergraduate students securing internships for course credit, studying abroad in Japan, France, and Spain, and working with faculty on undergraduate communication research projects. Lastly, you would have seen our faculty carrying boxes to their new offices, especially our Director of Forensics, Craig Brown, who rolled a dolly through Nichols Hall for nearly two weeks as he moved the forensics team to a suite of offices located on the 2nd floor of the building. Adding faculty, recruiting more majors, and gaining lots of teaching and office square footage are only possible when everyone is paying attention to the container that holds the work. We are fortunate that so many of our friends, family, alumni, and donors make sure that our container for this work has the relational support and the financial resources to continue this growth initiative. 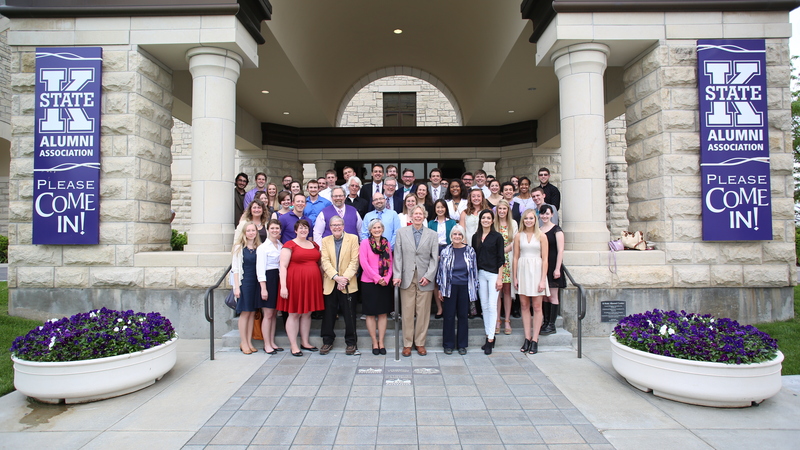 Over the past year that commitment yielded a new scholarship and an endowed faculty development fund. We are continuing our fundraising effort to create 20 new student scholarships and faculty development support through three primary funds: Communication Excellence Fund (F36760); Continuing Forensics Excellence Fund (F58198); and Continuing Debate Excellence Fund (F58169). I invite you to take a peek at the container we are constructing in Nichols Hall. It’s an energized place that supports a broad array of learning in communication and rhetoric. For those far away, you can interact with us by following and posting on our social media platforms: Facebook, Twitter, and Instagram. If you are visiting Manhappiness, reach out to me by email at steffy@ksu.edu. I’d love to guide you through our new space and share a coffee/tea in a perfectly fitted cup.